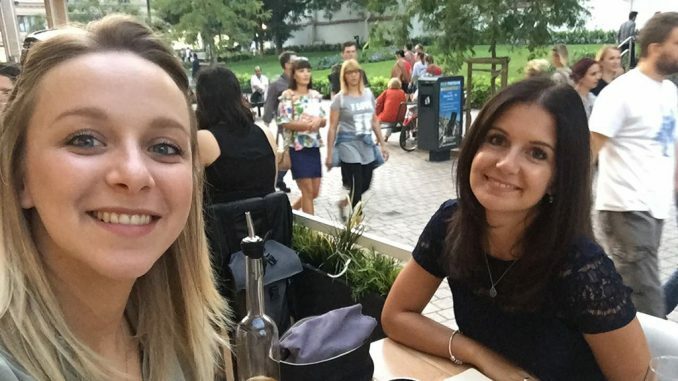 Franziska Prost (right on the picture above), Master International Business student, spent her semester abroad at Zagreb School of Economics and Management (ZSEM) in Croatia. Here, she talks about her experiences. 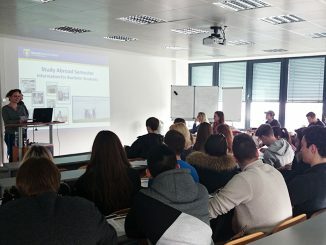 Why did you select Zagreb School of Economics and Management as your host university? The reason for me choosing ZSEM for my study abroad was mainly my desire to go to Croatia. I knew that Croatia would offer me great opportunities for travelling and seeing much more of the world. The fact that Croatia is quite cheap was one big aspect; this allowed me to see more than I would have seen by going to other countries. I have always been interested in the Balkan countries since I felt that these countries do not get as much attention concerning travelling than other countries do. They offer a great diversity, have delicious food, and friendly inhabitants, which sounded very likable to me right away. After a few days in Zagreb, I noticed that the friendly people surprise me the most. I have never met such happy people. You can always see the Croatians sitting in the sun, drinking coffee, and enjoying time with friends and family. In total, they are way more relaxed than Germans. That was one of the things I had to learn during my stay in Croatia: everything takes long, people take their time, and things might not always happen as expected, but in the end it works out. I am pretty sure that I will take some of that relaxation back to Germany. Since my concentrations at MBS are Finance and Innovation, I took all of my courses in the Finance field. Thanks to the informative website of Zagreb School of Economics and Management, I knew in advance what courses they would offer. The university was completely flexible and let me even choose from different tracks in order for me to select the most interesting courses. 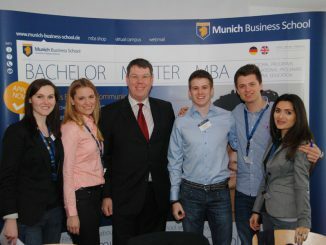 I was able to take courses that I had never taken at a German university, neither during my Bachelor studies, nor at MBS. The courses were quite specialized and there was a great variety of Finance related classes. I got the chance to take Financial Law, Risk Management in Financial Institutions, and Project Management. But by far the most interesting course was Measurement and Maximization of Company Value, a computer-based simulation game where students manage their own company from Human Resources, Marketing, and Production to Finance. It gave me a good insight on how all these departments correlate and work together, and how one decision in one field had effects on the other. I am convinced that this course gave me some good insights into how this works in a real company. How is Zagreb compared to Munich? Although Zagreb is smaller than Munich, it offers a great variety of places. Restaurants are mostly smaller as Croatians always sit outside to be in the sun. Even around Christmas time, they sit in small and cozy tents outside, which belong to the restaurants. Every day, people go to markets to get fresh vegetables, meat, and fruit. Compared to Munich, it is affordable and you get the best quality. This is one of the things I enjoyed most during my stay. 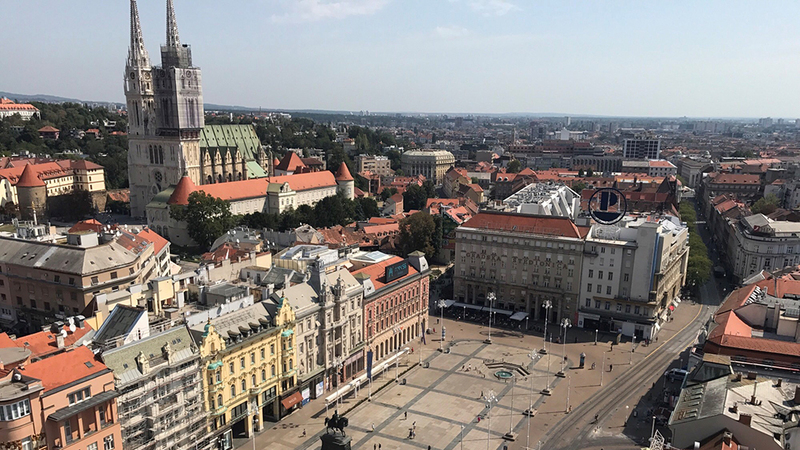 The view of Zagreb from the observation deck. Zagreb is a nice city for young people. There are many bars and clubs with international and Croatian music. Most of the time, people meet up at a bar and then walk to the club. Zagreb also has a tram system, which is quite different to the public transportation in Munich, though . Trams are part of traffic and thus sometimes take longer than going by foot. But nice buildings make strolling through the city quite comfortable. Many sightseeing attractions are in walking distance, so there is no need for taking a sightseeing bus. Overall, I loved the atmosphere in the city. You see people walking everywhere. Even on Sundays, stores are open and you can stop by almost anytime. It is very common in Zagreb to go by cab or Uber since prices are way cheaper than the ones in Munich. Often it is faster and most of the times, you have a nice talk with the taxi driver, which I enjoyed a lot during my stay. 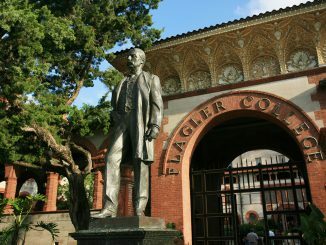 They are always open and tell you about interesting places and things to see. What would you recommend to other MBS students? Studying one semester in Zagreb was truly one of the best experiences in my life. It was full of fun and adventure. I met great people from around the world, got to know different cultures, and learned a new and pretty difficult language. I would recommend anyone to go to Zagreb and learn how business works there, relaxing and a little bit more slowly. Friends and family matter most and you can be sure to be invited by a Croatian for some good kava (coffee). Croatia will offer you many destinations for travelling on the weekend. In total, I managed to see 10 cities in 4 months. Since I went to Zagreb from August until December, I got to see summer as well as winter there. 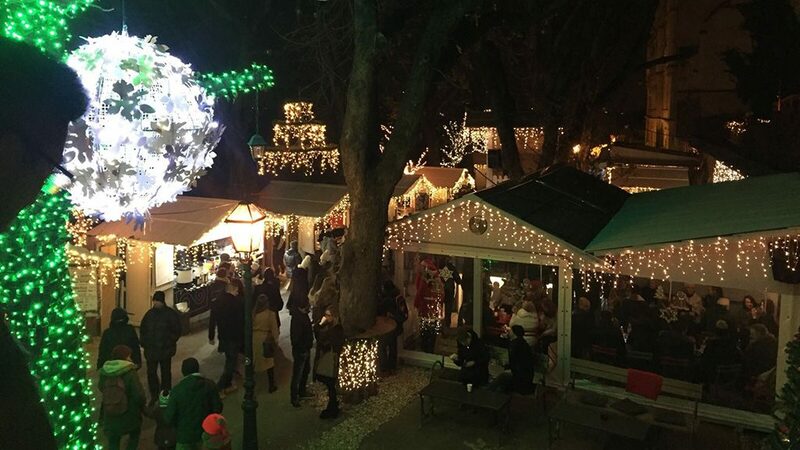 It is the perfect time to go there because you can still enjoy nice weather in September and October, and around Christmas, Zagreb offers Europe’s best Christmas market (voted for the third year in a row). So take a thought and consider going to one of the most colorful places in the world. I myself will never forget this time. 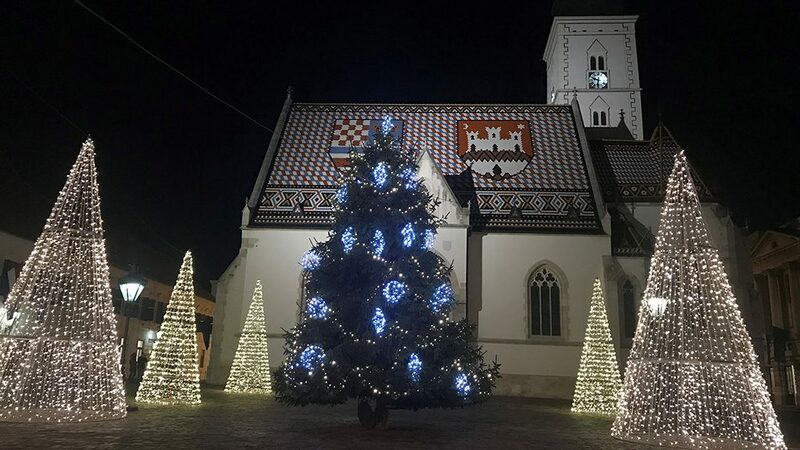 The Zagreb Christmas Market (left picture), and the St. Mark’s Church, dressed in holiday style.